Example of a Film Thickness Gage. There are dozens of choices today for electronic film thickness gages. 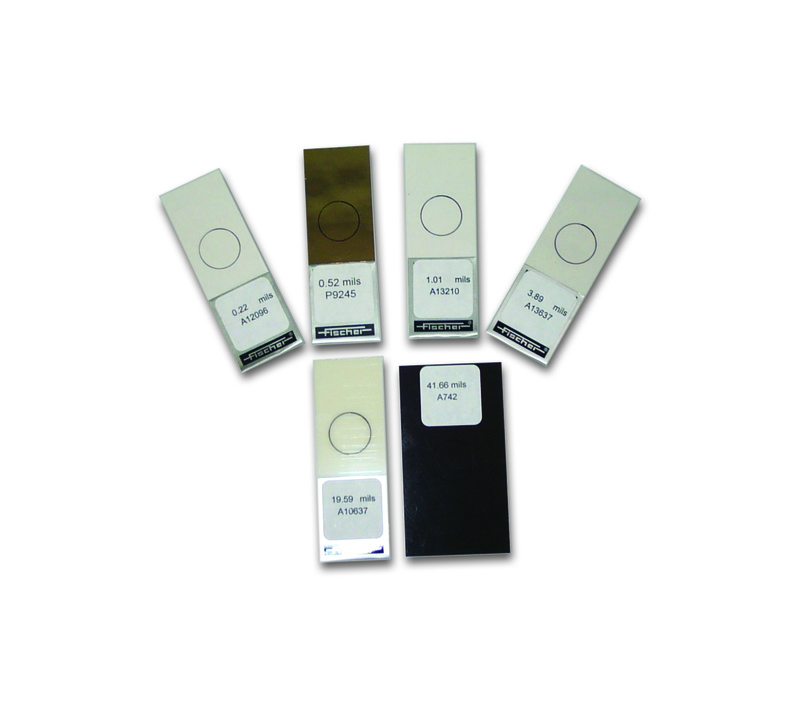 To narrow your choices first determine the type of substrates the coating is applied to. Is the substrate metal or non-metal? If it is a metal substrate, the metal is either ferrous, like steel, or non-ferrous, like aluminum. The ferrous metals have magnetic properties. The second question is the level of performance. How accurate or precise do you need? 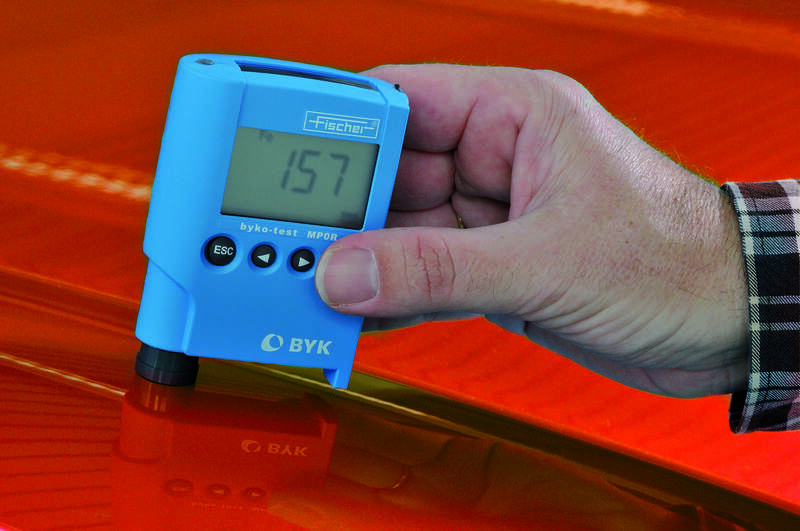 If you are applying less than 1.0 mil of dry paint film, a high performance film thickness gage is required. To improve your accuracy, select a film thickness gage that has single and/or two point calibration feature. The gage can be calibrated with certified film thickness standards. The third consideration is the measurement area location. Measurements inside pipes, corner locations, or very small surfaces will require a specialized external probe sensor. The choice of Film thickness gage models becomes limited when external probes are needed. Finally, do you need to document your measurements for ISO compliance? Film thickness gages with memory and computer interface capability is required. For any film thickness gage, ordering a certified thickness standard is recommended to check the gage performance. What is the Difference Between Adhesion and Flexibility?